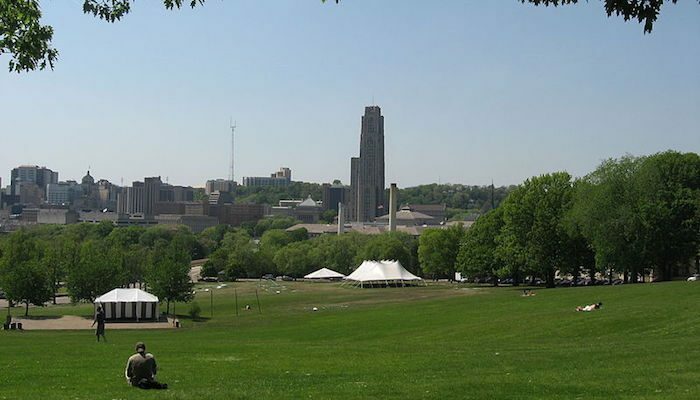 A great run near the universities is to combine Schenley Park and Frick Park. 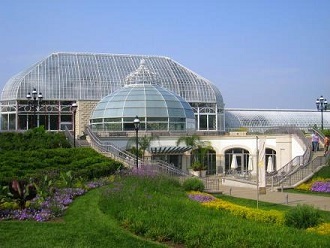 Schenley is more of a classic, old-style park, with its botanical gardens, golf course, ice rink, and pool. Frick Park has 400+ acres of mostly wooded trails. The Squirrel Hill neighborhood between the two parks, is a pleasant residential neighborhood for running, with Forbes Ave. running about 1-mile connecting the parks. We won’t proscribe a specific run here. 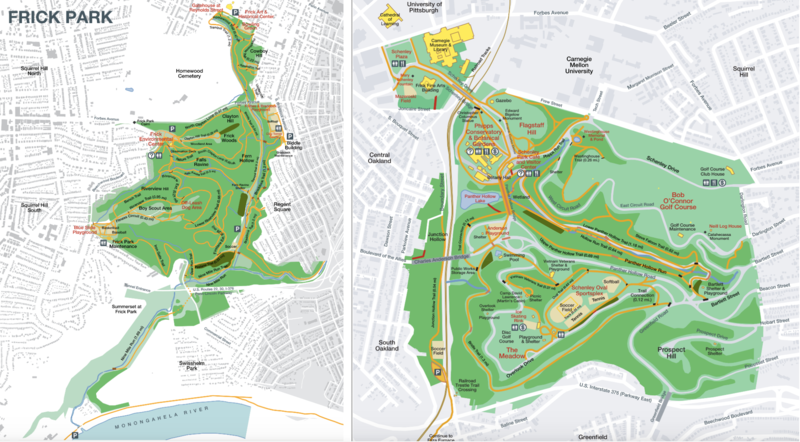 It’s possible to put together a good 3 miles on the main trails of each park. 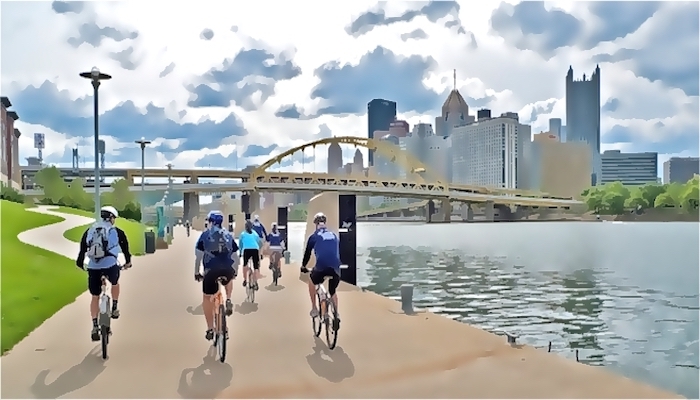 Nine Mile Trail south, over the Homestead Grays Bridge, to the Great Allegheny Passage Trail. About 3 miles to the Passage Trail (tricky finding it over the bridge, use 5th Ave. and Amity St.), then another ~7 miles one-way along the trail, to the end, paralleling Rt. 837. Fairly hilly. MAP.